The RG.SN.5022 is an NTC (Negative temperature coefficient) temperature sensor. The resistance of the sensor element decreases with increasing air temperature. 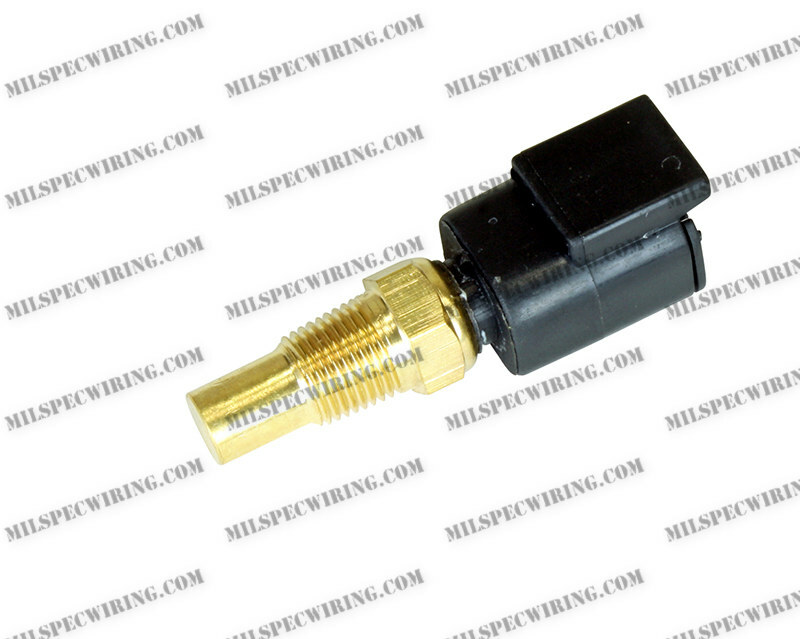 It is designed as a fluid temp sensor and is not recommended for air temperature due to a slower response time. It is an unpowered sensor and therefore requires that the input line is pulled up, so that the resistance change will result in a voltage drop in the input pin. It is generally recommended to connect the sensor to an AT input on a MoTeC device, as these inputs include a 1kΩ pullup to 5V.